Recognise and respect the difficulties faced by the person who is losing capacity. Understand the medical and other factors that may be affecting the person’s behaviour and capacity, such as memory loss and difficulty communicating. Foster the person’s dignity and self-esteem by encouraging them to continue making or contributing to decisions as much as possible. Allow your role to change as the person’s capacity decreases. Assisted decision-making may involve simple things such as taking the person to meetings and making sure they understand documents. Supported decision-making may involve exploring and explaining issues but allowing the person to make the final decision. Substitute decision-making involves making decisions on behalf of the other person. If you have to make a decision for another person, check if they have given verbal or written directives about how they would want the decision to be made. If they have not given directives, use substituted judgement – what you believe the person would have chosen themselves. If you are not clear what they would have chosen, decide on the basis of their best interest – after weighing up all the information about the situation, including what might be known of their wishes. 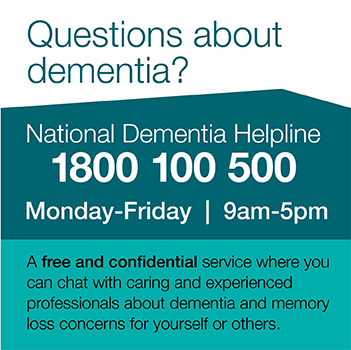 If you are having difficulties in this role, ask for help and support from family or friends, your GP, or support groups such as those run by Alzheimer’s Australia.